I continue to be inspired by the idea of authentic, robust math as demonstrated in the 3 Act Math activities introduced by Dan Meyer. The challenge for me has been how to engage young children in kindergarten with this kind of layered math problem solving. Because I often incorporate a read aloud in every circle time lesson and discussion, I felt a rich and engaging book would be the perfect spark for robust math engagement and thinking in our classroom. I love spring and the weeks before March Break are a fun time to incorporate St. Patrick's Day activities. A new book arrived in our classroom and I was eager to read it to the children. 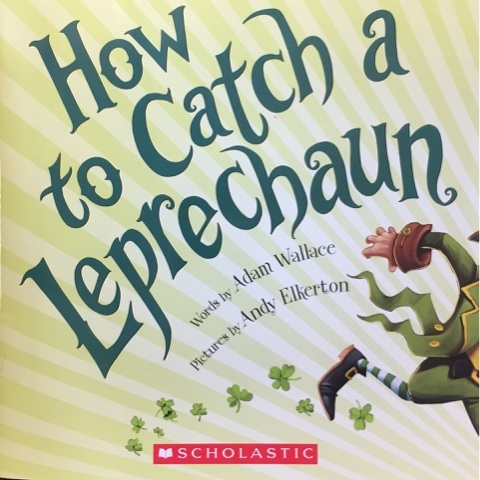 In "How to Catch a Leprechaun" children build a variety of interesting traps but are unsuccessful in catching a sneaky leprechaun and taking his gold. My students are avid builders and love imaginary characters and scenarios. We delved into the book and looked at each trap; what was it made of, how did it work, why wasn't it successful in catching the leprechaun? I then showed them a YouTube video about a little boy named Audri, who inspired by Rube Goldberg machines, built his own 'monster trap'. The children were amazed that Audri built this complex creation. His work inspired our children to do a bit of research on what Rube Goldberg machines are and see other examples of complex cause and effect creations. 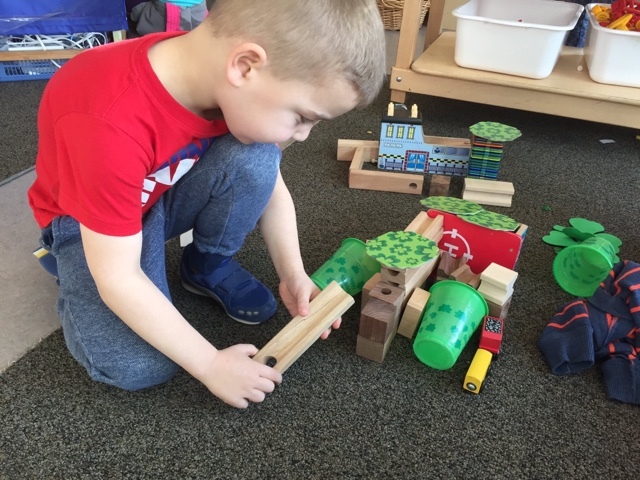 During playtime the children gathered many materials from around our classroom. They were inspired by Audri and recalled the traps from the book. They worked diligently to invent their own leprechaun trap. When asked the children could explain how their trap worked and why they felt it was going to be successful catching the leprechaun. We decided to leave the traps out overnight and see what happened. The children were so eager to arrive the next morning and rushed to their traps to see what had been caught. The leprechaun was not in any of them but had left them a note saying that he appreciated their efforts and had left them a pile of gold to share. The children, of course, were thrilled! I displayed the gold on our carpet and asked them to consider how we would divide it up. I challenged them to think of a different strategy than ten frames, which had been used when we divided up a large amount of gummy bears the previous week. 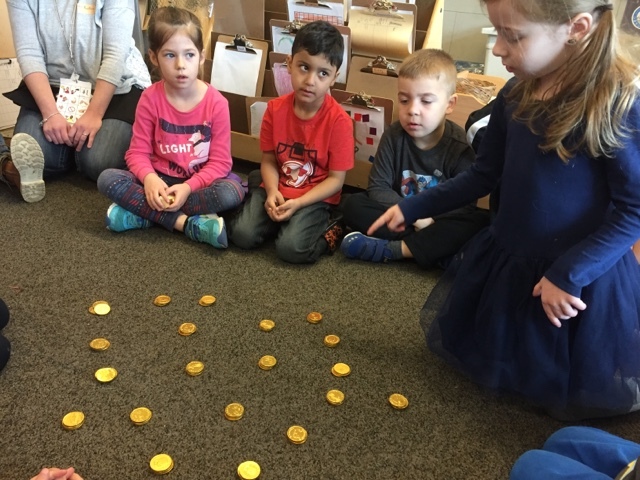 At first the children wanted to divide the gold in half, because they thought it would help them figure out how much gold there was, which would then tell them how many pieces each child would receive. We tried this but it didn't seem to help. "Let's put it in groups of ten because ten is a friendly number," one child suggested. 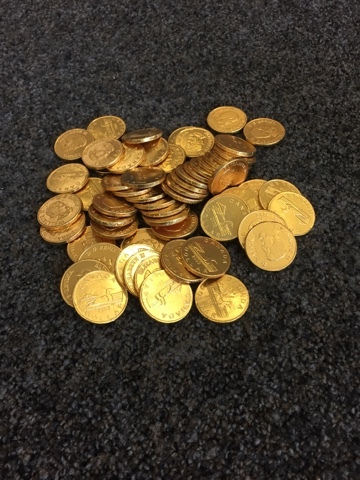 The children agreed and we grouped the coins by ten. "Not enough groups for us...there are more than six kids here!" "Let's try five; five is a friendly number too and we just have to divide each pile in half," another child suggested. So we created groups of five. "Still not enough! We have fifteen friends here today, not twelve. We need three more piles if we use five." "Okay, let's try three! Three should work!" So the children helped me reorganize the coins into piles of three. "Now we have left overs! Twenty piles is way too many! That won't work either." 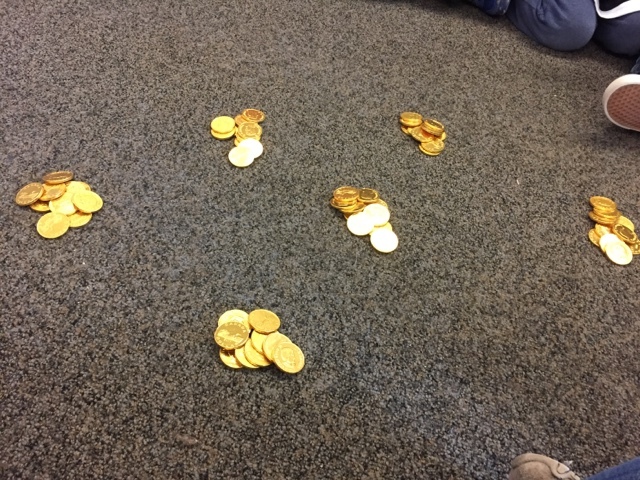 The children continued to brainstorm aloud and think about how to best divide up the gold. They wanted to maximize how many they each got! "I know! I know! Let's try groups of four! Three is not right and five won't work. That leaves four!" 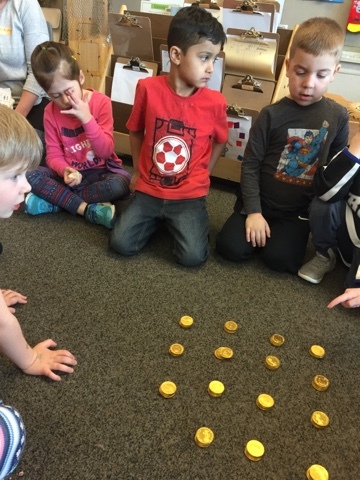 The children helped regroup the coins again, this time into groups of four. After counting the piles the children realized that there were fifteen evenly divided groups of four. They were so excited and so was I! 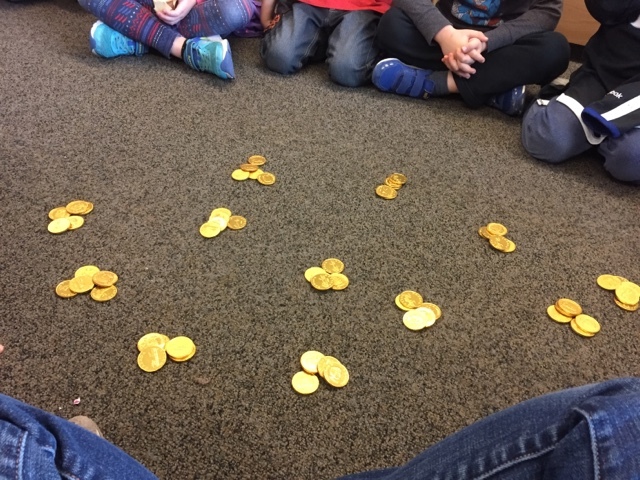 I shared that they had just divided a very large number in many different ways in order to ensure that everyone received an equal amount. They were highly motivated to engage in a very rich and complex problem and did not give up when they did not arrive at the answer right away. This is the essence of a mathematical mindset - persevering with an engaging task even when it's difficult and you are not exactly sure how to proceed. In kindergarten, math is everywhere and when the problem is exciting and fun, we work together and grow our mindsets each day! What a lot of fun and learning. Love it!